Ditch all those cluttered pill bottles and consolidate your supplement regimen into this convenient and compact pill case. 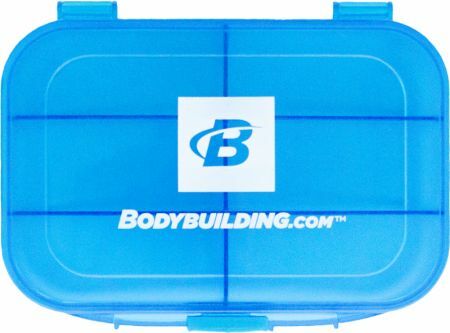 6 compartments with removable dividers allows you to customize this organizer to your own personal supplement stack. A rubber seal built into the lid will help limit exposure to air and moisture keeping your vitamins fresh, while the slide enclosure will help prevent any spills. Product broke on my after first use I mite have gotten the bad one of the bunch but where the lock locks it broke.